No cabe duda que este es un fanático de verdad.Muy original. If I was a dog, the dual choices for peeing are bewildering. "Kayak or hydrant. 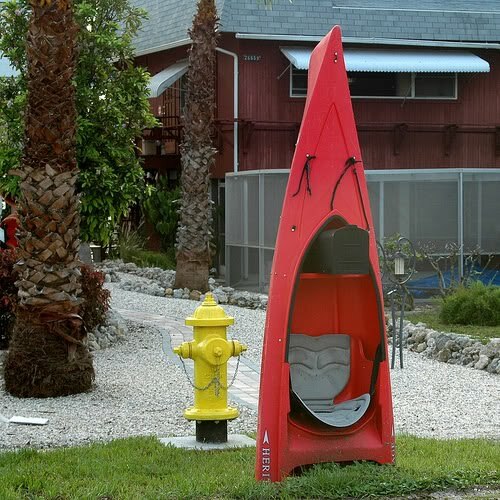 Hydrant or kayak. Which is going to get it today?"